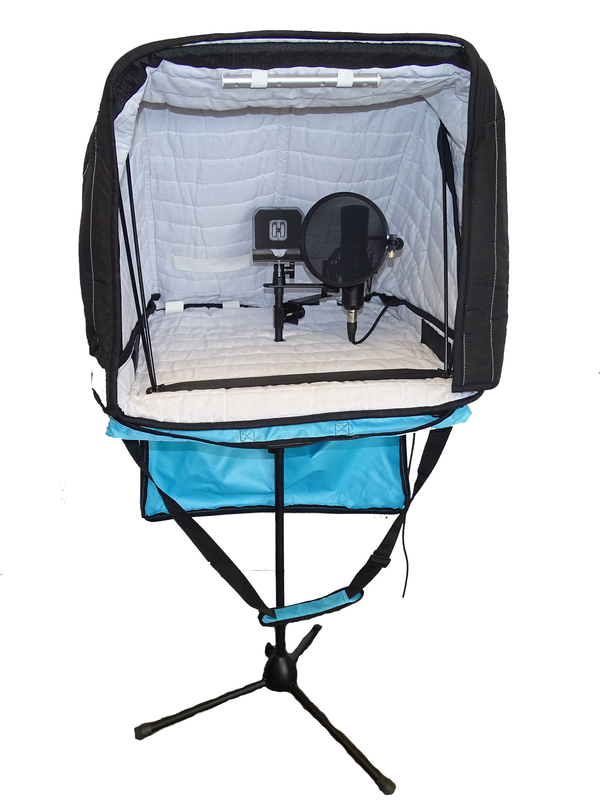 The Carry-On Portable Vocal Booth COVB2.0+ provides affordable studio-quality sound control on the road. 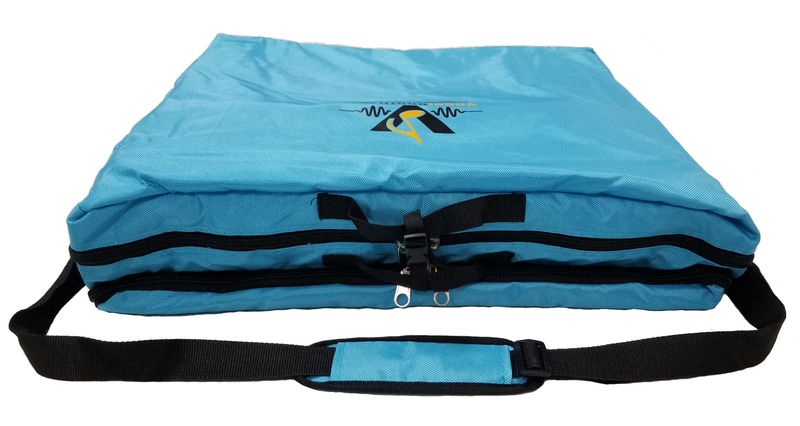 It is the updated version of the Second generation of Portable Carry-on Vocal booths that is fully compatible with the Sound Isolation Hood if you decide to get one in the future. 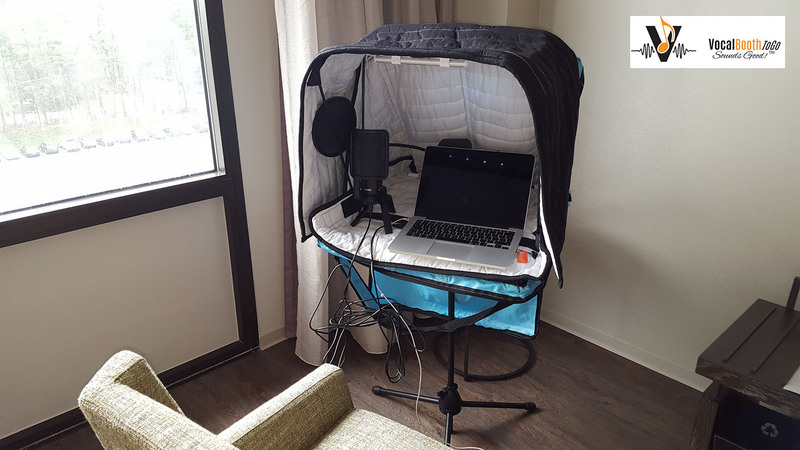 the Carry-on Vocal Booth COVB2.0+ is an essential tool for anyone who wants to be mobile and still productive on the road, away from their recording studio. It is also a great tool for a start up Voice actor or film maker, this allows you to get into the voice over industry with very low start up costs and create great sounding demos from home or anywhere you go. 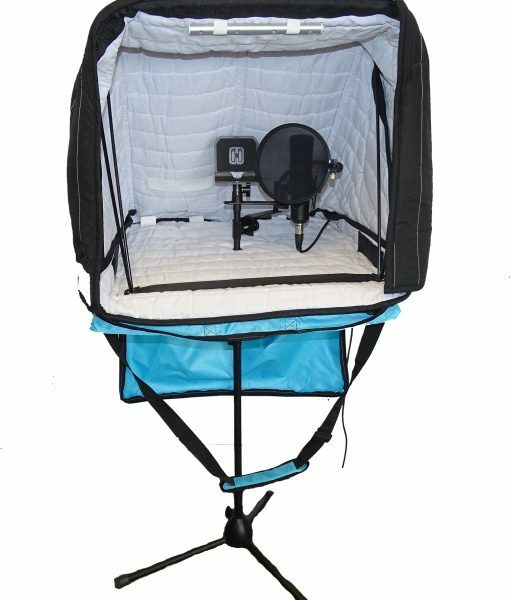 The Carry-On Portable Vocal Booth COVB2.0 provides affordable studio-quality sound control on the road. 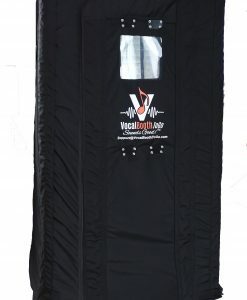 It is the updated version of the Second generation of Portable Carry-on Vocal booths that is fully compatible with the Sound Isolation Hood if you decide to get that in the future. 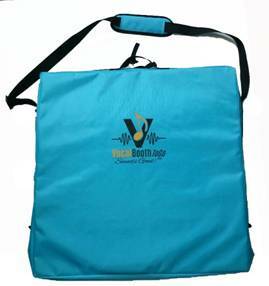 Designed and engineered with input from Emmy-award winning vocalists, producers and engineers, the Carry -on Vocal Booth COVB2.0 is an essential tool for anyone who wants to be mobile and still productive on the road, away from their recording studio. It is also a great tool for a start up Voice actor or film maker, that allows to get into the voice over industry with very low start up costs and create great sounding demos from home. Book jobs and deliver on a moment’s notice. 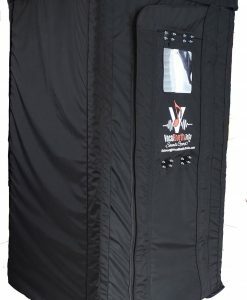 It works so well, in fact that one of our customer requested that we would not disclose where she got her booth, because she ” did not want others to sound as good as she did” and she wanted to have a competitive advantage over other actors! ( True story, i would not be able to think of this myself! 🙂 ). HOW IS COVB2.0+ DIFFERENT FROM VOMO? 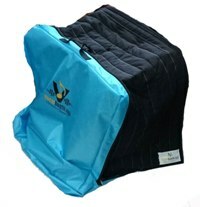 Last year a new product was developed from the COVB2.0 – VOMO. Let me explain the difference. This new COVB2.0+ is modified from the COVB2.0 to work together with the NEW SIH – Sound Isolation hood, but it DOES NOT INCLUDE the SIH. Why? Well, it seems that some voice actors actually want to let some live sound in, without utilizing the hood. It also makes the product more affordable for the beginners. 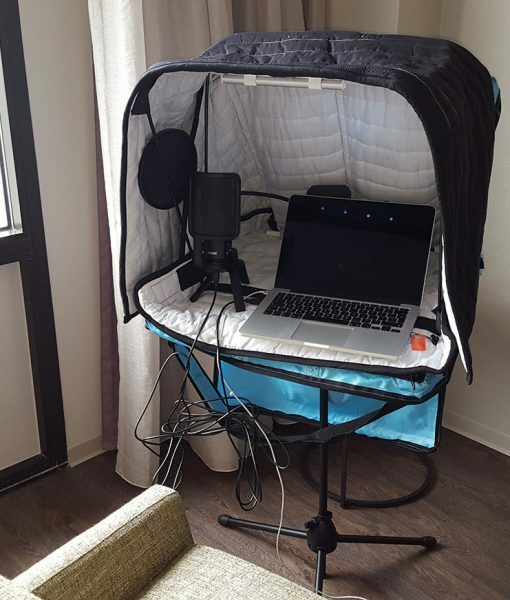 In VOMO we kept all good functionality and excellent acoustic performance that the original Carry-on Vocal Booth was known for, but added some upgrades. 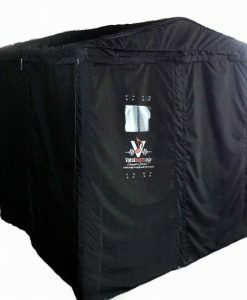 The VOMO includes our Sound Isolation Hood (SIH). Lined with Producer’s Choice acoustic sound absorbing material, this hood eliminates unwanted reflections from behind the VOMO. 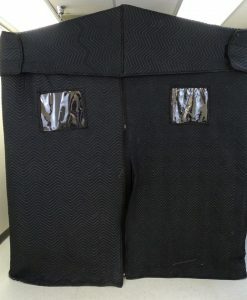 The hood was really demanded by the high class professionals, especially the ones that travel often and need more isolation from outside noises. You can see that COVB is open on the side where the actor stands. If you work at home or in any quiet environment where the reflections from behind you can be easily controlled – this is not a problem. But if you find yourself in a highly reflective Hotel lobby, or noisy cafe or even a bathroom – that can be a serious problem. The COVB2.0+ features number of improvements compared to the COVB2.0 . 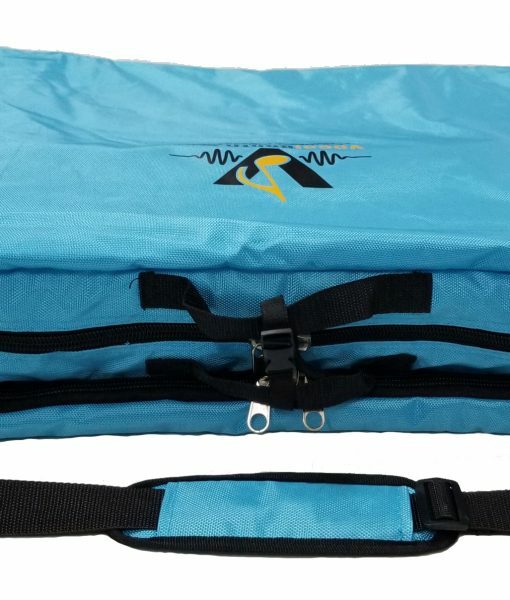 It includes is a pouch for additional accessories and recording gear that keeps accessories neatly organized within booth during travel. The thicker support table provides more reliable support when the booth is mounted on a mic stand. Our new mounting bracket allows the booth to be mounted on a wide range of standard microphone stands.